Reading and share top 3 famous quotes and sayings about Jujubes by famous authors and people. Browse top 3 famous quotes and sayings about Jujubes by most favorite authors. 1. "Canning is a whole world of a thing to do. It requires that you get out of your head. It's a Zen thing. 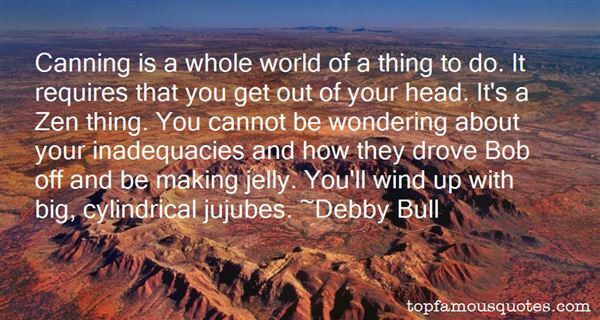 You cannot be wondering about your inadequacies and how they drove Bob off and be making jelly. You'll wind up with big, cylindrical jujubes." 2. 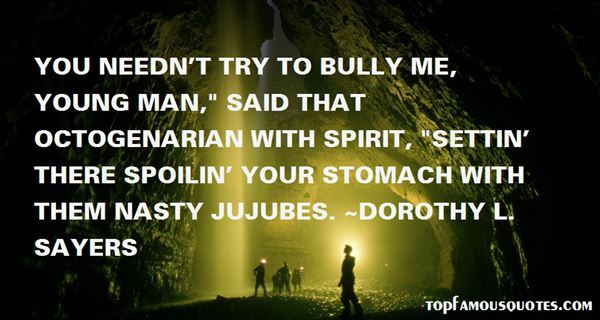 "You needn't try to bully me, young man," said that octogenarian with spirit, "settin' there spoilin' your stomach with them nasty jujubes." 3. "Oh! 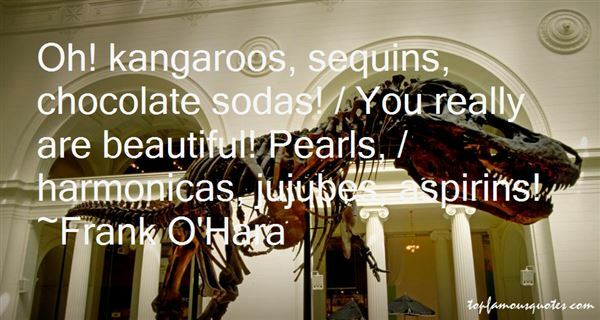 kangaroos, sequins, chocolate sodas! / You really are beautiful! Pearls, / harmonicas, jujubes, aspirins!" I hang up. Actually, I smash the phone down because I take my anger out on inanimate objects. Which is better than taking it out on people, right?"